… a very special party with lots of dancing – ‘I love dancing!’ – for 100 guests. … the backdrop to enable Queenie & Belles Events to deliver the WOW factor! It was simply FABULOUS! 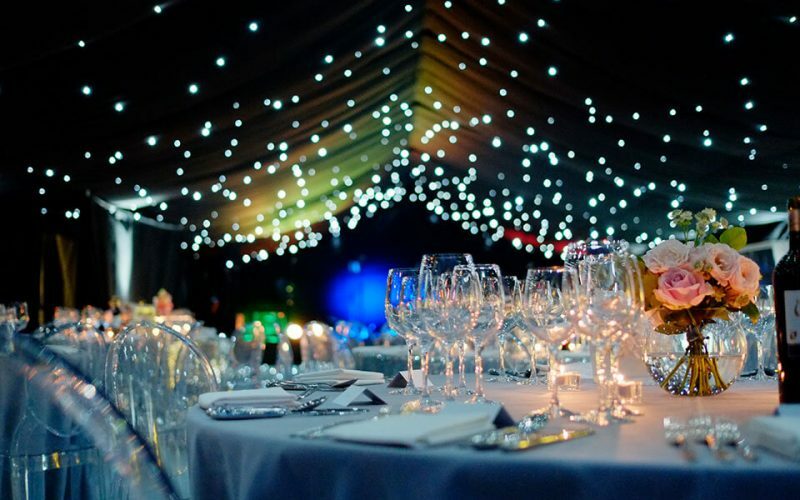 A panoramic roof marquee was set up with a transition from the terrace, which was the drinks/reception area, down into the dining area. This then led through to the dancefloor. 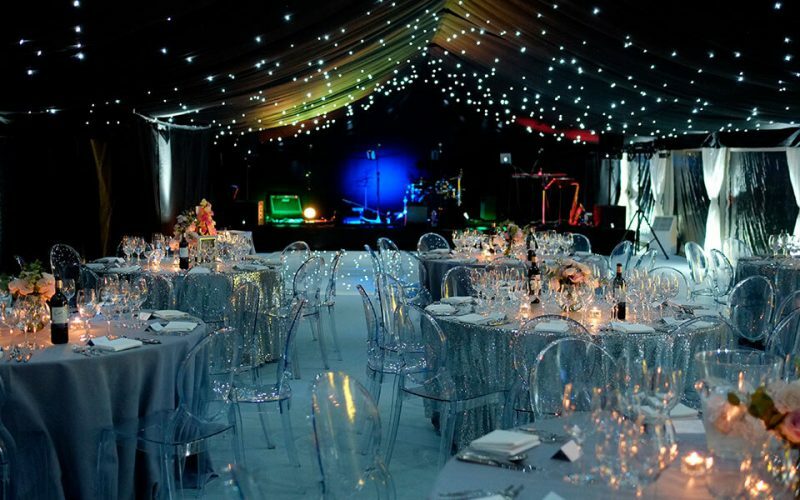 ‘Star cloth’ adorned the dance area with an LED dancefloor, blackout linings throughout the rest of the marquee with panoramic windows to one full side allowing vision across the gardens showing the illuminated trees in the evening. Queenie & Belles Events organised and styled this celebration. Lulu’s collaborated and advised on the marquee with regards sizing and placement in the garden and on the style of the marquee to give that WOW, making it something guests would remember for a long time.